Eagles in Homer, Alaska. Photo: Woodrow Dawson. 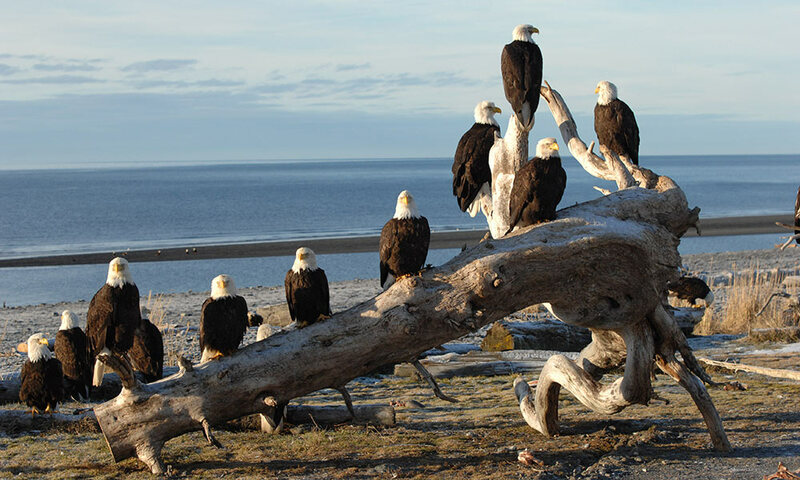 Why are there so many Bald Eagles in alaska? How does temperature affect where Bald Eagles live? Are there bald eagles west of the rockies? How many nesting pairs of bald eagles are in the United States? 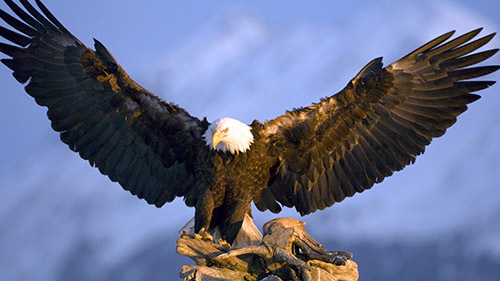 The largest population of Bald Eagles is in Alaska, with an estimation of 30,000 birds. In the lower 48 states, Minnesota and Florida follow in numbers of nesting Bald Eagles. Studies largely stopped in 2007 when the Bald Eagle was taken off the Threatened and Endangered Species list. Estimates in 2012 were around 10,000 nesting pairs in the lower 48. Extrapolating on that, and assuming the population is still increasing, it is conceivable that we now have around 14,000 nesting pairs (as of 2015).